Phone, computer and sales skills a must. Photoshop skills helpful, but not necessary. Send e-mail resume to ldn-box_264@lincolndailynews.com or mail to Lincoln Daily News, c/o Box 264, 601 Keokuk St., Lincoln, IL 62656. 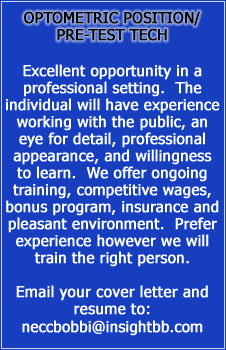 Farmers Insurance Group looking for hardworking individual to help manage an existing agency. No experience required. $20K plus per year. Call 217-430-7758. Student Assistance Counselor, PT, Lincoln, Ill.
Do you love children and think you are a positive role model? Do you have patience, time and space in your home? Catholic Charities of the Diocese of Peoria located in Lincoln is accepting applications for foster families to care for children, some with exceptional needs. Many of these children have developmental delays and/or behavior disorders. They would be provided counseling and/or other services, as needed. We provide training, licensing and continuing support services. We also provide financial reimbursement to help care for the child(ren). If you can provide nurturing care, involvement, supervision and a stable home environment, please call the licensing/resource worker, at 217-732-3771. Part-time courier opportunity. Danbred North America is seeking a dependable, customer-oriented individual to deliver product to new and existing customers in central Illinois area. Must have a valid driver's license with a excellent driving record. Delivery vehicle will be provided. For more information, please contact Deb Augustine, 3220 25th St., Columbus, NE 68601; phone 800-844-4874; debaugustine@danbredna.com. 6 a.m.-2 p.m. and 2-10 p.m.
Do you consider yourself dependable, friendly and a caring person? 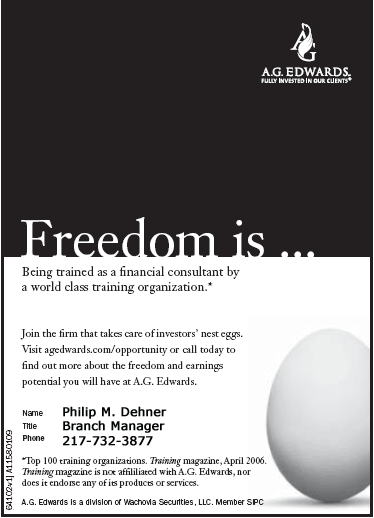 Are you looking for employment in a Great Environment? Liberty Village has full-time openings for C.N.A.s. would like an outstanding individual to join our team!